lupo_ro posted a topic in New member? Hello! I am from Romania. I recently bought an pretty nice Lupo. It has 145k km mileage, 1.0 petrol engine, code ANV. since 2001. I have many things in mind for my car. Right know it has some bad parts, but one day it will shine . I will start some new topics about different things I don't know. Have a nice day! I apologise firstly, if this topic is in the wrong place. Does anyone have a step - by - step guide/ quick worded guide on how to remove the indicator panel; I've tinted my indicators with yellow tint film, without removing the panel; there's a huge crease on one side where I could wrap it around the light lens properly. I want to do it again properly. 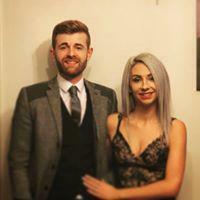 Any help is greatly appreciated! Hi guys, got a 53 plate Arosa mk2 recently and was wondering if any of you have any ideas I could use to make it look a bit better? New to this, along with my Seat Arosa! puzzlement13 posted a topic in New member? amykaye92 posted a topic in New member? Had a look at it when it was parked and then saw you when you were leaving, Lady owner, i was in a purple nissan. Patrick's Arosa Sport - Cambridge lights/ New Alloys. 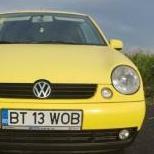 Yellow VW Lupo 1.0 with RH Cups, 12 Months MOT! megancollo posted a topic in New member? 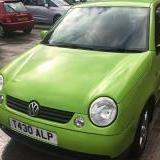 Hi, new to the site and new to the Volkswagen and Lupo scene! I brought my lupo for a bargain price of £850! Althought she's got a bit of discolouration and a few knocks (and after having an entire new exhaust and brake system fitted) but she's a beaut and runs lovely. I was wondering if anyone could advise me on some mods? I have a few ideas myself: white roof, white wheels (cav slabs, yellow bbs, polo bbs split, vintage star mag or RONAL TEDDYS! ), smoothed boot, coilovers and I've already got colour coded bumpers thankfully. Any help or advice would be greatly appreciated and I could also do with a point in the right direction with the coilovers on top and reliable makes etc.